Every store deserves an amazing Funko exclusive! 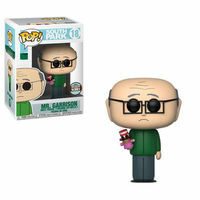 In an effort to recognize Funko's most special accounts and loyal retailers, Funko is continuing the Specialty Series! Why is it so special? You'll only be able to find these Specialty Series exclusives in boutique retail, specialty stores, local comic book shops and from qualified online retailers. This is your chance to help support local businesses and smaller retailers, and you'll pick up an amazing exclusive item in the process! 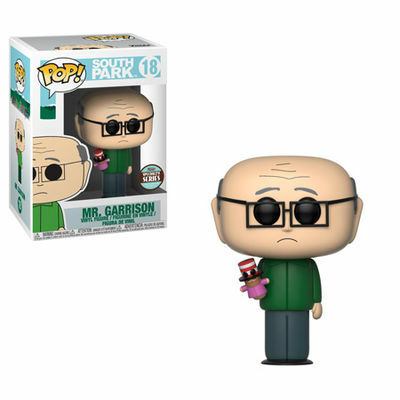 The latest exclusive is a South Park Mr. Garrison POP! Standing 3 3/4" tall and sporting the fan-favorite design, this is one figure you need to complete your South Park collection! Window box packaging. Legal Notice: Entire contents trademarked (® or TM) and copyrighted (©) 1986-2019 by Things From Another World, Inc. and respective copyright and trademark holders. All rights reserved. Page rendered at 2019-04-22 07:55:05 in 0.276 seconds.